Behind the Scenes on Game of Thrones. It’s pretty amazing these days how we take so much for granted in television. As I watched Game of Thrones I knew some, well a lot, of the show was CG but I didn’t realize how much. Here is a behind the scenes clip from BlueBolt to show some of the visual effects that were used in the show. If you haven’t seen the first season yet stop watching around 2:40 if you don’t want any spoilers. 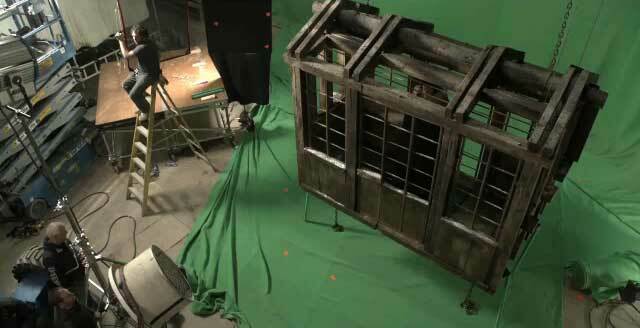 Visual Effects created by BlueBolt for the first season of HBO’s “Game of Thrones”. Season 2 of “Game of Thrones” premieres Spring 2012. It’s time to do your duty like the brave folks of the Night’s Watch! Don’t worry, you don’t have to take the Black… Your duty as devoted fans of “Game of Thrones” is to pre-order the series on DVD and/or Blu-ray to make it a mind-blowing financial success. Only then can we hope for higher budgets, top actors and most importantly to see the entire book series on screen. Region code 1 (U.S. and Canada) according to amazon.com. Could be without region code or region A (most North, Central and South American and Southeast Asian countries plus the Republic of China (Taiwan), Japan, Hong Kong, Macau and Korea), amazon.com makes no statement yet.